Last week we got back from the Brussels Design Market and in our latest blog post, we talked about different highlights such as the atmosphere, types of exhibitors and the products that were in our section. If you could not make it to the Brussel's Design Market, do not worry! Because at the end of this week, we will be going to the Design Icons Amsterdam show so you can always come to visit us there. What is the Design Icon? This show on the 6th and 7th of April in Amsterdam, will have around 75 exhibitors from all around Europe. They will be bringing a number of their finest vintage design pieces from the 1930s through till 1980s and possibly some even later. 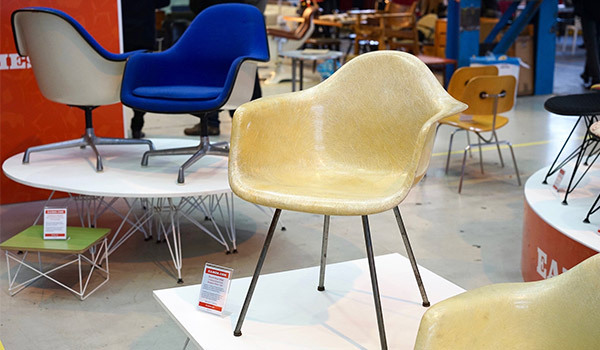 There will be a variety of interior design items that will be offered for sale at the show and well-known classics as well as various Eames pieces. 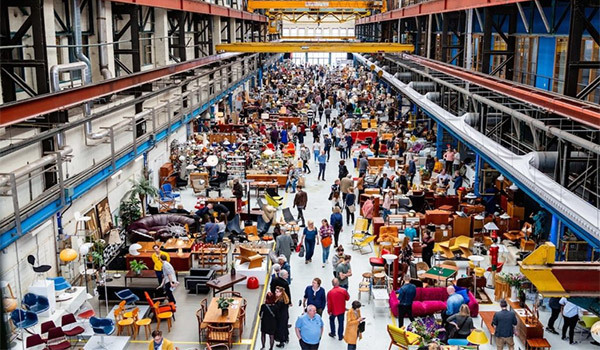 The Design Icons Amsterdam will take place in the fantastic venue that is De Kromhouthal. The event takes place at this venue on annually. An interesting fact about this particular complex is that it was a former marine engine factory which has been restored into a location, specifically for events like this. The building is situated on the North shore of IJ, where you can see a stunning view of the city center. From past experiences at the event, the atmosphere of De Kromhouthal is the ideal setting to showcase the design icons of the past century. 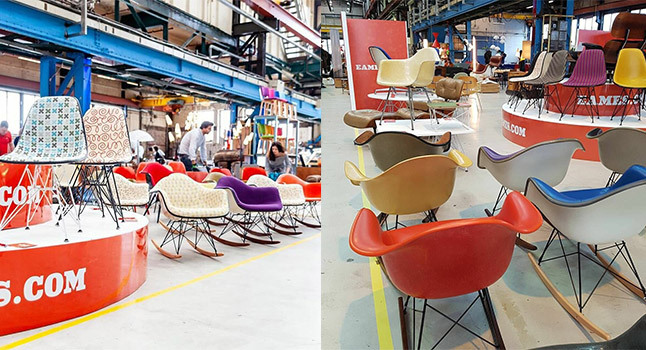 Similarly, to the show in Brussels, Eames.com will be attending the event in conjunction with one of the sellers on the Eames.com marketplace, known as Vintage Design. Team Eames.com will be there to provide information about each piece and answer any questions you might have. We will be taking different Eames products from the popular Lounge Chairs, RAR chairs, tables and also a variety of Fibreglass Shell Chairs. As you may have seen on the Eames.com website, we have released blog posts about our Wiki tool on Eames.com. This facility provides information about each item, the timeline of events, specifications of an item and also general history. As a result, we felt that it would be a great idea to implement this tool, face to face! It worked very effectively during the Berlin show and also the Brussels show and visitors who came in with particular questions about an Eames piece, walked away with answers involving the history and specifications of a product. During trade shows, we often get asked the question on what abbreviations actually stand for on particular items. For example, DSR, DSW, LCW and more. If you also have any questions regarding abbreviations at the event, feel free to ask any of the members from Eames.com or Vintage Design and we will be happy to assist you further. Hopefully, this will make it an insightful experience for you! Address: De Kromhouthal (De Overkant), Gedempt Hamerkanaal 231, 1021 KP Amsterdam, The Netherlands. Click image below to enlarge the map. Once we return, we will upload a ‘post-event’ blog post, just like we did after the Brussels and Berlin exhibition. We will upload various images and talk about our highlights of the event and the products that were popular. 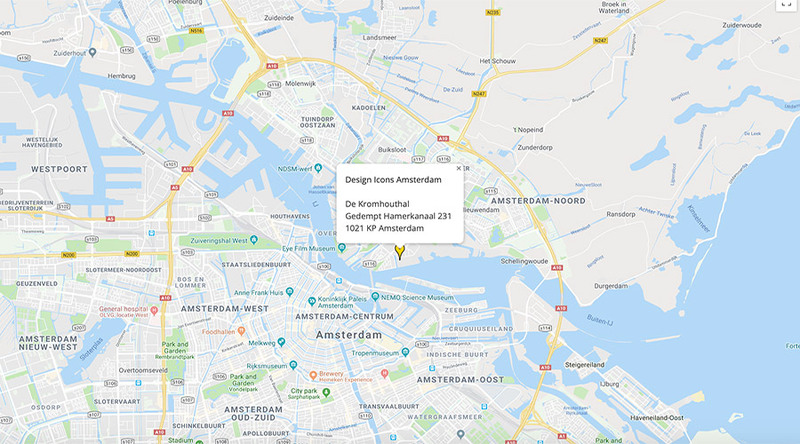 In addition to this, we will answer questions that we would have been asked at Design Icon Amsterdam 2019, in the post-event blog post. We would definitely like to see you there so please do come and say hello!